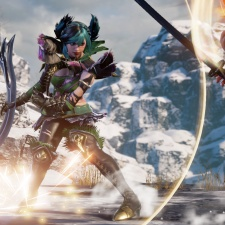 Soul Calibur VI has hacked and slashed its way to second place in this week’s Steam Top Ten. The sixth entry in Bandai Namco’s fighting franchise launched last Friday and quickly rose to No.2 in Steam’s weekly charts. Physical sales are down 55 per cent across all platforms compared to 2012’s Soul Calibur 5 - but on PC, and in 2018, digital is the norm and has kept this swordfighter swinging. Assassin’s Creed: Odyssey told a similar story, as it takes No.1 for the second week in a row since launch. Physical sales decreased 25 per cent across the board from last year’s Origins. But Odyssey quickly managed to reach concurrent player counts 33 per cent higher on Steam, and worldwide sales across digital and physical are up overall. Pre-orders for Football Manager 2019 have opened up with a 10 per cent discount for early starters, bringing football spreadsheets to No.3 this week. Shadow of the Tomb Raider clambers back into the charts at No.5, thanks to a week-long discount of 34 per cent. An indie take on the modern-military FPS, World War 3, hit Steam Early Access last week. Despite mixed reviews, the shooter lands a direct hit at No.7 in the Top Ten. Koei Tecmo’s Warrior’s Orochi 4 enters the fray at No. 8. The hack n’ slasher combined character’s from Koei’s Dynasty Warriors and Samurai Warriors series’ and is currently under a 10 per cent launch discount. After many years in Early Access, Rimworld blasted off into 1.0 and No.9 in the Steam Top Ten last Wednesday. Fallout 4’s GOTY Edition closes out the list at No.10, with a 50 per cent discount ahead of the multiplayer sandbox Fallout 76. Below is the Steam Top Ten for the week ending October 20th.